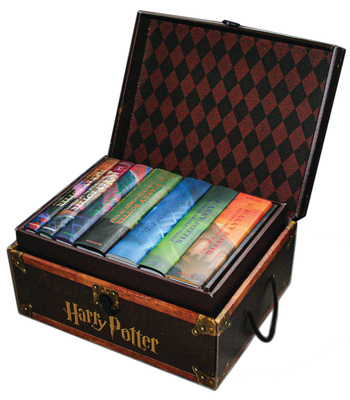 HARRY POTTER BOXED SET 1-7 includes the seven phenomenal Harry Potter hardcover books by best selling author J. K. Rowling. These books are housed in a limited edition, collectible trunk-like box with sturdy handles and privacy lock. Bonus decorative stickers are included in each boxed set.